So you’ve decided that you wish to Investigate Betfair, and see if you can make money on Betfair for yourself. All I can say, Is go for It……! Firstly, I’m going to assume that you already know a little bit about Betfair, as if you’ve started your research, then you’ll have an appreciation of the Betfair platform. Over the years, this has changed considerably to meet the demands of hungry gamblers and traders, by providing new markets on existing sports. On top of all that, Betfair have since added Poker, Arcade, Casino and Sportsbook in a move that’s mirrored that of the mainstream bookmakers. When you look at the sheer array of betting events (I was going to say sports events, but there are many more markets than just sports) you’ll soon realise that there are many ways to find a small edge, and therein lies the secret of successful betting and trading. Again, because the site is so vast, It’s Important to find a place to start. The easiest place to start is with a subject that Interests you. My favoured subject is, and always has been Horseracing, so that’s how I learned to make money from Betfair. You can check out my simple system HERE if you wish. In fact I have a video of a slightly advanced method HERE which Introduces software to the mix. Now those methods are incredibly basic, but It’s important for your confidence to get results early on in your Betfair trading career. My method will get you into profit from day one, and at least give you a firm foundation to start from. There are some Incredible traders out there, Peter Webb from Bet Angel and Caan Berry spring to mind. They are both Incredibly capable, and make lots of money, It’s just that their style of betting doesn’t sit right with me. In fact, I’m a lazy trader, and enjoy taking a larger price move than a traditional scalper would. Half the battle is finding your own trading style though, and you will find it…. One thing that I must warn you about, is the ability to take a loss. This will be the making or breaking of you as a Betfair Trader. With the best will in the World, when you make a judgement on an event, It doesn’t always go to plan, and you’ll need an exit route. This generally means taking a loss, and although It sounds quite matter of fact, and logical, the practice is somewhat more difficult. You’ll be tempted at this point to take risks, which will, In time make you lose a lot more money. Always control you risk strictly whilst preserving your bank at all times. Without a bank, then you can’t trade anymore. Depending upon your style of trading, you’ll decide whether to trade an event before It starts (this is how I trade) or choose to trade In-play (during the event). There are no rights or wrongs, but I would recommend learning to trade before the off, as the price swings are generally more predictable, and you won’t be taking mad risks. In the early days your trades will be erratic. This is perfectly normal, I promise. In fact your first goal should be just to break even on each trading day. All you then need to do, is simply get more trades right than wrong and you’ll make money on Betfair. It really is that simple. What many new traders do, and It makes a lot of sense, is to build a risk free betting bank using matched betting. This, In Its simplest term is taking advantage of bookmaker bonuses to make risk free trades using arbitrage. There are a number of similar sites offering an alert service with full Instructions. 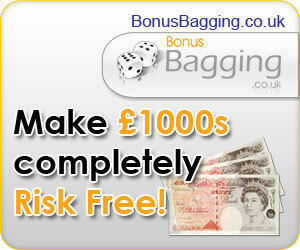 If you’re new to betting, then you should be able to take advantage of at least £1000-£1500 of free money. This is ideal as a trading bank. In fact, some people go on to make up to £4000 month after month. I started with this service and It was pretty good, the forum is particularly motivating. There are some others HERE if you wish to take a look. I’d be really Interested to hear of your progress, as most serious users make over £500 with matched betting in their first month (while still getting used to things). From your perspective, It teaches you how to use Betfair to make money from day one. The videos take you by the hand each step of the way, so there’s no excuse for not making money, and there’s no risk to your money. Anyway, I’m here to help, so please either leave a comment below or get in touch by mail, I’ll respond as soon as I can.